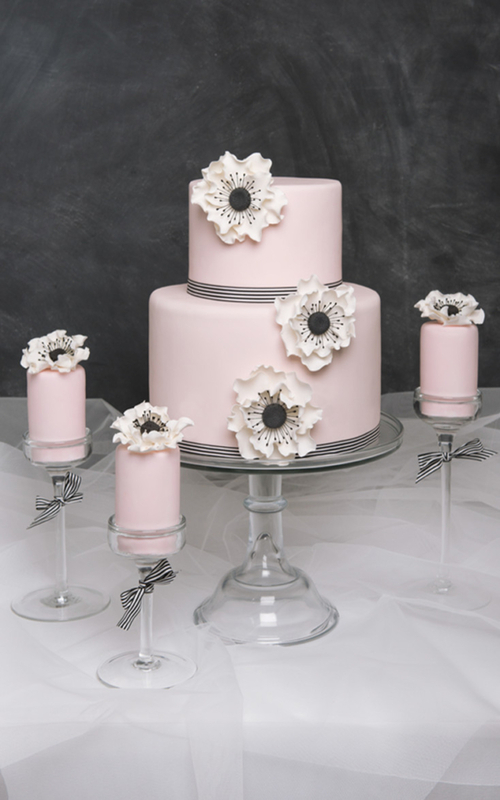 Pink Anenome Simple Wedding Cake – Stylish two tier modern wedding cake in a subtle shade of dusky pink. 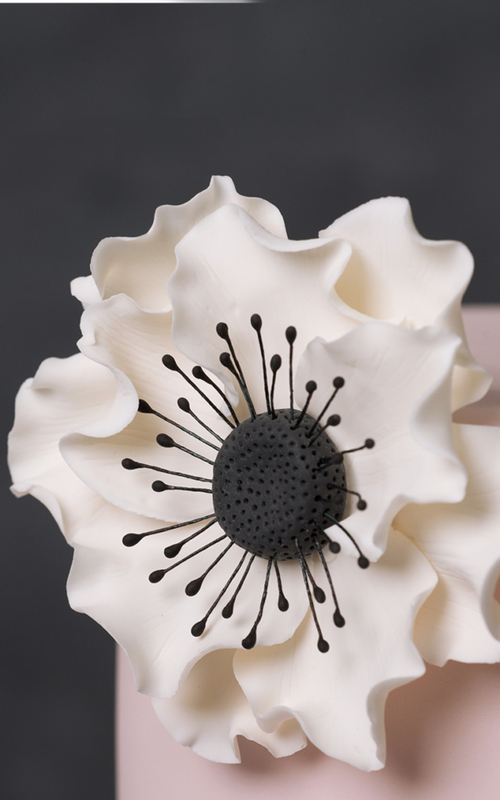 Its chic minimal design showcases the intricate realistic sugar flowers. Finished with black and white trim. 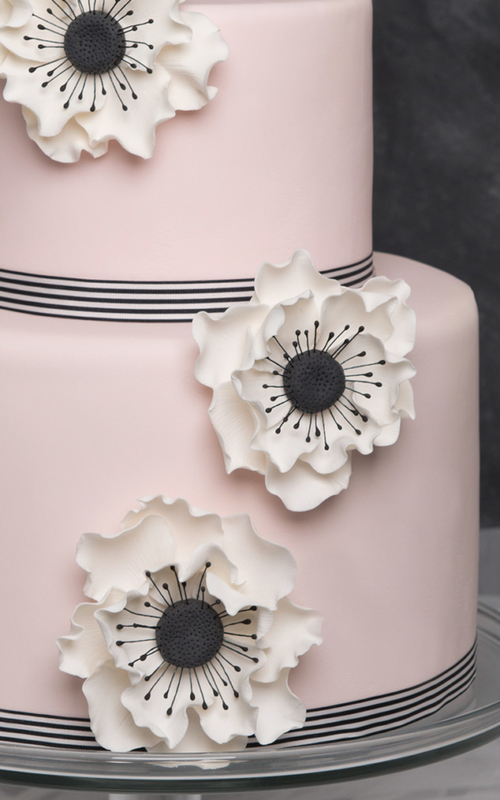 In addition to the tired cake, indivdual cakes were presented as favours.